I needed somewhere to stay approximately halfway between Salt Lake City and Missoula, Montana, on my way to Glacier National Park. With a planned trip to Idaho Falls scheduled, I was lured by the Blue Heron Inn in nearby Rigby, Idaho. Down a gravel road and over some railroad tracks, I pulled up to this winning bed and breakfast set on a gentle bend of the South Fork of the Snake River. 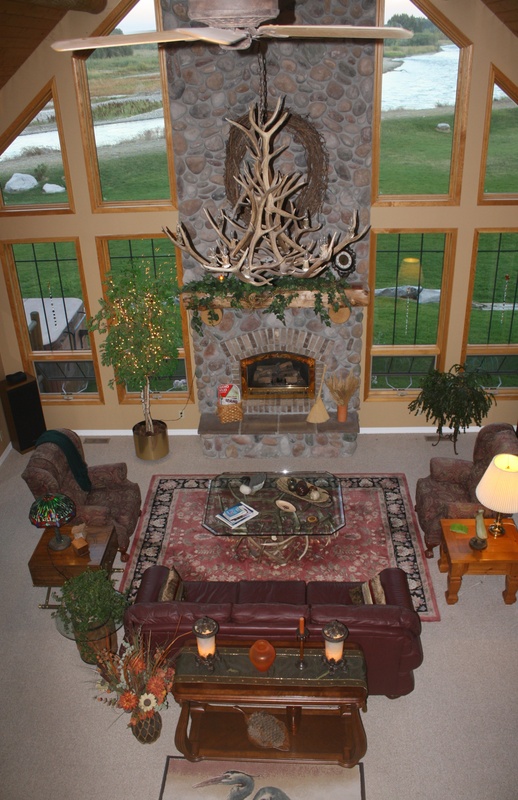 Built in 2000, this fantastic six-bedroom log and stone inn is a perfect mountain lodge, with a lovely great room, complete with river rock fireplace and oversize windows; a huge dining room / kitchen; an upstairs loft with a small library; and a billiards room. After checking in, I stepped out onto the inn’s 3.5 acres of property. I spied a couple of fishermen floating downstream in a small boat, and I had to wait only a few minutes before a pair of blue herons gracefully glided by against the dusky sky, as if they were welcoming me to their namesake inn. Innkeepers Sandy and Dennis, who had just recently purchased the place, joined me beside the fire in the great room later that night. It didn’t take very long for them to whip out their laptop and show me the video they had just taken of a moose that had wandered onto their property to munch on an apple tree. When I commented that I was pleased that the wind had shifted direction and the smoke from nearby forest fires was finally being blown away, they escorted me outside to the deck on a comfortably nippy September evening. Countless stars and the Milky Way stretched high and wide above, a rare sight for someone who lives in New York, and made even better when Dennis unveiled his homemade telescope and helped my untrained eye focus in on these astronomical delights. The next morning, orange beams of sunlight awakened me in the Blue Bird Room, a bit too early for my taste. But the color of the light intrigued me, so I shuffled to the window and peeked outside at a glorious sunrise. Camera in hand, I stepped outside into the chilly air and dewy grass, gazing at the seductive sky brushed in yellow, orange, rose, salmon and peach. I could have stood there forever, but the aroma of an enticing breakfast pulled me back inside. Over orange juice, two freshly baked scones, fruit cup with Greek yogurt, French toast with orange juice, and a chunk of watermelon, I shared conversation with the other guests — two middle-aged biker couples who regaled me with tales of woe and wonder from their miles on the road. My only regret about my stay here was that it was for just one night. 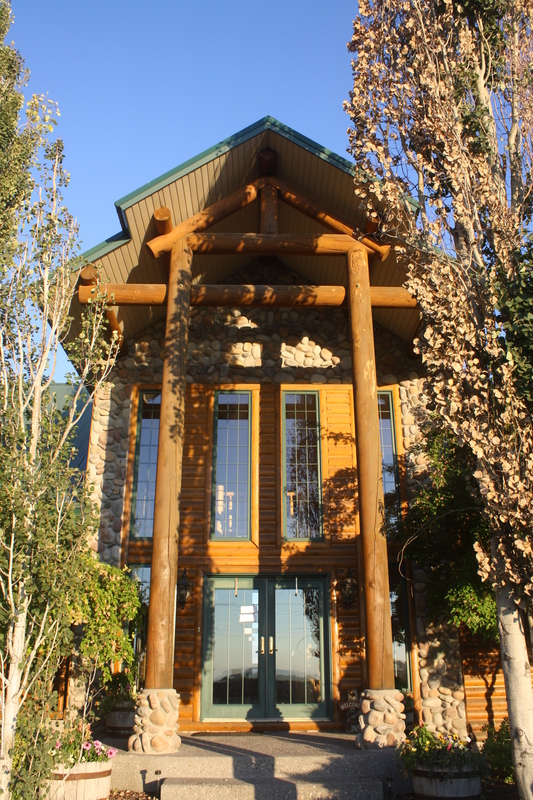 Although Rigby is unlikely to show up on your radar if and when you travel around Idaho, the Blue Heron Inn is most definitely worth the detour.